Did you know that a surprising number of stars actually got their start as electricians? Celebrities may enjoy fame and fortune, but before achieving notoriety, many of them first worked ordinary jobs. And for many, the skills they gained through working as electricians ended up being valuable when they moved on to the careers they’re known for today. You might be surprised to learn that these famous people worked in a profession they’re not associated with. We certainly were. George Harrison wanted to be a musician, but his father thought that he would be better suited for a career as an electrician. He was able to secure his son an electrician’s exam for the Liverpool Corporation, but Harrison ultimately failed because of his lack of mathematical skill. The future Beatle, however, was able to get a job as an apprentice electrician for Blacklers, a department store based in Liverpool. Long before he developed the theory of relativity and won a Nobel Prize in physics, Albert Einstein was an apprentice electrician for his family’s business Elektronische Fabrik J. Einstein & Cie in his home country of Germany. The young Einstein served as an Oktoberfest electrician alongside his brother. The siblings also briefly provided electrical light for the Schwabing district of Munich. The company was ultimately unsuccessful, but Einstein’s electrician training may well have paved the path for his later successes. 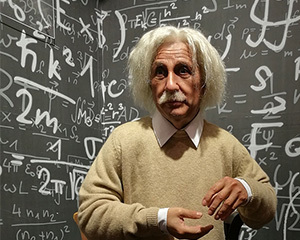 The Einsteins eventually moved to Zürich, where Albert Einstein eventually made some of his most significant discoveries. 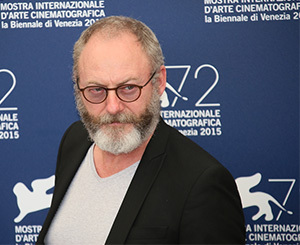 Known these days as the charismatic Ser Davos, Liam Cunningham was in fact an electrician once. As a teenager, the Game of Thrones star wasn’t very interested in books and chose to become an electrician. Cunnigham left school when he was 15 years old and joined the Electricity Supply Board. In the 1980s, he moved to Zimbabwe for three years and worked at the Hurungwe Safari Park, where he maintained electrical equipment and trained local electricians. While he really enjoyed his time in Africa, he ultimately decided to become an actor upon his return to Ireland. An accomplished cinematographer and producer, Malik Sayeed is best known for his cinematography in various Spike Lee movies. Before his film career, Sayeed was a pre-med student. Sayeed started working as an electrician when his mentor gave him the opportunity to work part-time with the International Alliance of Theatrical Stage Employees (IATSE). During this time, he quickly realized that he was far more interested in electrical work than he was in his pre-med coursework. Soon, Sayeed earned a spot on Spike Lee’s electrical crew. Lee, impressed by Sayeed’s work, decided to give him a major and unexpected promotion to director of photography. 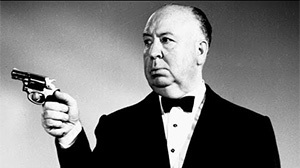 Prior to becoming one of the world’s most influential film directors, Alfred Hitchcock worked very briefly as an electrician at W.T. Henley’s Telegraph Works. He was a member of the Henley’s sales department, eventually transitioning to the advertising department. Hitchcock’s biographer, Patrick McGilligan, claims that this job was the perfect preparation for a career in film, as he learned to love detailed planning and note-taking – habits that would serve him well as a director. The electrician life aided these celebrities in their future careers, one way or another. The skills you learn in vocational training aren’t just applicable to one career—they can equip you with life skills you can learn in all sorts of situations. Curious about forging a career path similar to these stars? Learn more about our electrical technologies program.